Amazon has always had a generous return policy on their hardware but now they've taken it to a new level. According to a new topic over on the Amazon support forums, Amazon si now sending out emails to select employees that offer a free 30 day trial for one of Amazon's tablets or ereaders. This offer has been reported on by The Verge and other websites, and it has also reportedly been confirmed by Amazon CS reps. It's being sent out to specific customers, and is only good for once. Kindle Fire and Kindle Fire HDX are a brand new generation of powerhouse tablets, built for work and play. But instead of simply telling you all about them, we'd like you to experience one for yourself, risk-free for 30 days. To claim your 30 day free trial, click the "Start your free trial" button below. Love to read? Choose any eligible Kindle, Kindle Paperwhite, or Kindle Paperwhite 3G e-reader. Love to do it all? Choose any eligible Kindle Fire HD, Kindle Fire HDX, or Kindle Fire HDX 8.9" tablet and we'll ship it to you at no cost-eligible Kindle devices will show a price of $0.00 at checkout. 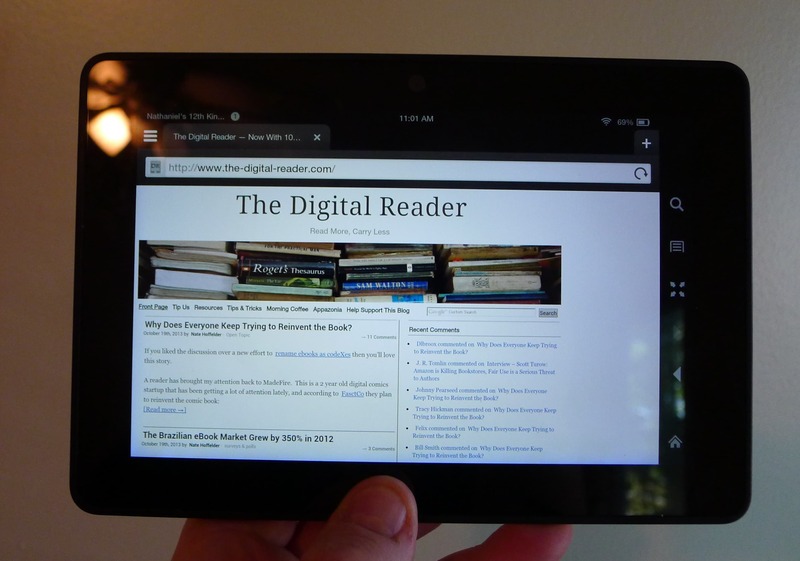 Explore all the features of your Kindle or Kindle Fire for 30 days. If you love it, keep it and we'll charge your credit card automatically. If you decide it's not for you, send it back before the trial ends at no cost-shipping's on us. Amazon already effectively offers free trials for Kindles and Kindle Fires, but until now they charged customers and then refunded the purchase price when the Kindle was returned. Amazon also usually deducts a return shipping fee when any non-defective device is returned, but they're not doing that in this case. Do you think this means Amazon is getting a little too eager to sell their tablets? This is not a sign of desperation until and unless the offer is opened up to everyone. One offer here and another offer there is a marketing ploy, not a sign that Amazon's hardware sales are in trouble. Our buying habits should indicate that, although we are very good customers, we already have an iPad 2, a Nexus 7, an original Kindle, and what I think is a Kindle 3, which is my main e-reading device. I doubt they would offer one to us because it would be totally superfluous. Amazon routinely experiments with prices and promotions. They could be looking for data on conversion rates for casual readers, the kind of people who wouldn’t think of ordering a Kindle out of fear it would go unused but who would fall in love once they use one. Well, I got one of these invites and am going to receive the free trial Kindle Fire HDX tomorrow. I cannot explain why I was chosen. I am not an Amazon Prime member. I do shop on Amazon, but not that often. My mother, who shops far more frequently and IS a prime member, was not selected. Cannot explain but am excited to get the tablet to try!